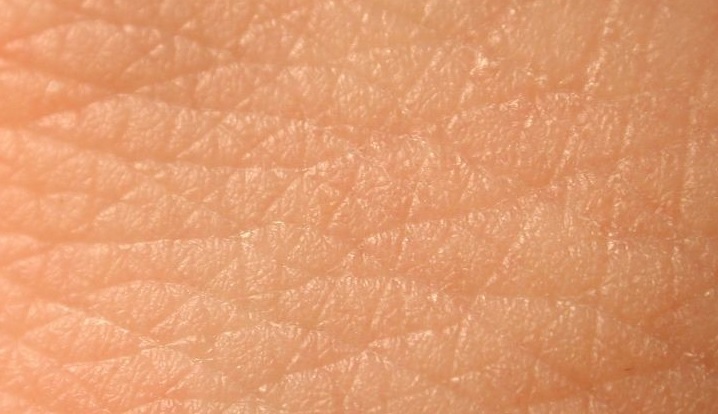 Human skin is a very complex organ. Until around 40 years ago it had been thought of as an inactive body covering, an impermeable barrier, it now attracts much attention and scientific research. As scientists are unravelling the intricacies of skin physiology and identifying the chemical substances and their interaction within it the cosmetic industry is trying to follow those discoveries by introducing new components to their formulations. The skin is a complex organ comprising numerous specialised cells that support skin function. Understanding skin anatomy, physiology and various skin types is crucial to product performance as it allows for more effective formulation. New preparations are constantly developed in hope of better skin maintenance or reduction of ageing and other skin related problems. In fact a large number of new ingredients have been incorporated into cosmetic products in the last 10 years and this is expected to continue at a fast pace. For example, discovery of the natural hyaluronic acid in the skin lead to its inclusion in the skin care products. As the modern day pressure to look good goes through the roof the global cosmetic industry continues to expand rapidly. The search for ‘miracles in a jar’ continues. As the dietary habits and nutritional value of the food deteriorate, the need for ‘skin food’ keeps growing. Both the public and the product makers continue to search for most beneficial, most active products and ingredients. Interestingly, skin has the poorest nutritional supply – studies show that majority of ingested nutrients are used by vital organs such as the brain and heart or liver and very few nutrients actually reach the skin. Luckily, unlike many other organs, skin nutrition can be enhanced directly through topical applications. Topical application of natural micronutrients (from vegetable oils, essential oils, herbs, etc.) can complement dietary consumption of food, leading to a stronger, healthier skin for the body. Numerous scientific references can be found indicating that our bodies absorb directly into the bloodstream close to 60% of the topical products or materials with which the skin comes into contact! As our understanding of skin function grows, so does the public’s demand to improve safety of the skin care products. Healthy skin has the ability to respond to challenges that would otherwise undermine its structure and function. Understanding the skin makes it easier to formulate preparations that meet its needs – cosmetics that adversely affect the biological and physical functions of the skin often correspond to skin issues and less attractive appearance. This is an on-line course. This on-line course has been specially formulated for those who are interested in or are already formulating skin care products. It does not require any previous qualifications or knowledge of human anatomy and physiology. It will also be of great benefit to anyone working with the skin, such as Facial Massage. Only open to those who have already completed an Anatomy and Physiology course in the past. Why is the study of anatomy, physiology and pathology so important? 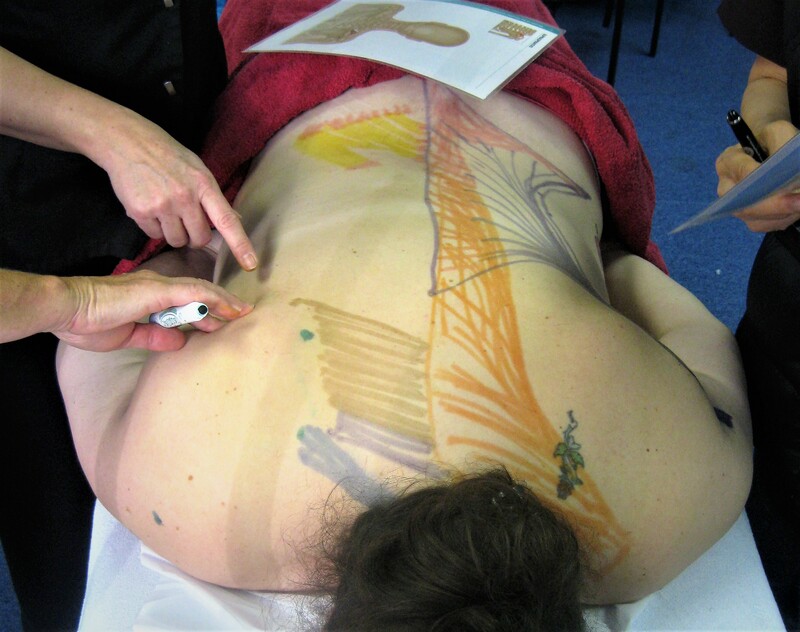 Complementary therapy professionals need a sound understanding of anatomy and physiology to be safe and effective practitioners. We do not need to know all the names of every structure, but when we understand some of the intricacies about how we have been put together and how structure serves function we can extend this into our treatments when appropriate. Appreciation of nutrition, lifestyle impacts, physiological processes, conventional approaches to conditions and so forth broadens our awareness. It is important to recognize the role anatomy and physiology play in providing a quality treatment and there are numerous reasons to keep our knowledge uptodate. It helps us know when to treat or to refer to another health-care specialist or medical doctor. In any profession, it is important to know when you can help and when you cannot. The more we understand about pathology the more we will know when it is appropriate to refer patients whose symptoms exceed our abilities and experience, and perhaps to know who to refer them to. We will also know when what we offer may be of assistance to a client. It helps communication and confidence both with clients and other health professionals. Being able to talk the same language, enables us to dialogue more eloquently and effectively with other health care professionals as well as our clients. Building professional relationships with industry peers, or with clients, is built on trust and your ability to demonstrate your sound knowledge of all areas that influence, and are influenced by your chosen therapy. This is important for referrals – especially as it is becoming increasingly common for complementary practitioners to work within surgeries and group practices and it is helpful for us to explain what we are doing and, if necessary, contrast our work with other approaches. Precision: In bodywork, the more detailed our understanding of the structures and processes occurring under our hands, the more precise we can be with what we are doing. We may get a greater understanding of the links to other parts and be more accurate in our ability to pinpoint the problem – and therefore a solution. Accountability: Complementary medicine is undergoing much greater scrutiny than ever before. Governments, the medical profession, bodies speaking for CAM and the majority of practitioners themselves are keen to validate the instances where patients can truly benefit from complementary approaches. There has been a call for more research and more regulation within many therapies and different bodies are working to respond to this. Fascination: Is it not just simply fascinating? The more we work with and learn about the body, the more we are amazed and humbled by the magical processes that continually go on, generally keeping us healthy but also adapting to illness or distress when needed. Why do a refresher course? Did you train some time ago? Not practised treatments for a while? Do you need to retake your anatomy and physiology qualification to replace an out of date qualification? Are you returning to the industry after a long-term leave? Did you complete the course in the past but never complete? Are you qualified but need more confidence in your anatomical knowledge? Or are you just interested in refreshing and deepening your knowledge to make you a better practitioner? Do you know that knowledge has half-life just like radioactive isotopes? It degrades with time, when it is not applied on regular basis. All that you need to do is to refresh it from time to time and brush up your skills, to remain current. Refresher courses on anatomy and physiology are always available and a wise choice for any serious-minded therapist. Developing a fascination with how the body works should be a lifelong pursuit. Why choose a refresher course with classroom learning? Anatomy, physiology and pathology require serious study, and can be learned and revisited in various ways, including textbooks, videos, charts, models and online courses. In today’s working environment, we have access to more ways to train and develop people than ever before. Unlimited learning opportunities are available to us in the form of E-learning, mobile learning, social media and virtual training and we are led to believe from the marketing of e-learning course providers that traditional classroom style training sessions are just a time consuming, antiquated, and costly method of training? We believe that every method of learning has its own merits and used for the right thing with the right people at the right time, any type of learning intervention is likely to produce results. However, in our ever-increasing virtual world there seems to be a need for real interaction. Classroom sessions provide this in the form of a real person who can deliver information in an interesting way. A trainer is also a subject expert who can answer concerns and questions right away and, as a specialist, can share the benefit of their years of experience. The need for this human interaction is only set to increase with more people spending so much time isolated by working on their computers with little people contact. People not only generally learn better from other people, but they retain this information for longer. It has been proven that people retain information much better when they have an emotional reaction to it. That’s why great trainers are so highly valued because they are skilled at delivering information in a way that excites, inspires, motivates and engages their audiences. 8) Quiet, dedicated time out to really focus on your needs – once you’re in the classroom, you’re on the road to success. As in life, 80 percent of education is showing up, in person. 11) No problems with motivation, self-discipline or feelings of isolation common to distance learning. We are passionate about what we do and love nothing more than to share this with our students. This course encourages supplementary independent home learning, either on-line or via other mediums but its greatest strength is the work done in the classroom! Only open to those who have already completed Anatomy and Physiology course in the past. Rather than set up a stand alone refresher course in anatomy and physiology we have decided to offer the entire course at a special discounted price. This way you will have the opportunity to study it all again if you wish to do so. We are keen for all therapists to refresh their Anatomy and Physiology knowledge and to encourage you to do so we can offer you the opportunity to retrain on one of our Anatomy and Physiology courses at HALF PRICE. For MSCM students ONLY (those who have previously studied Anatomy and Physiology with us or those embarking on a therapy course with us) we are pleased to offer you even GREATER DISCOUNT – just £75.00 (plus VAT) for the entire course. Please call 0208-429-2895 to benefit from this offer. Attendees will be offered the chance to take the ITEC exam if they wish to do so. Recognising and understanding the significance of surface anatomy is the first step in reading the complex ‘map’ of the human body and being able to palpate and locate muscles is crucial for any massage or body therapist. If you have been trying to learn from books and charts and are finding the names of muscles and their actions, origins and insertions somewhat daunting, then this training session is perfect for you. 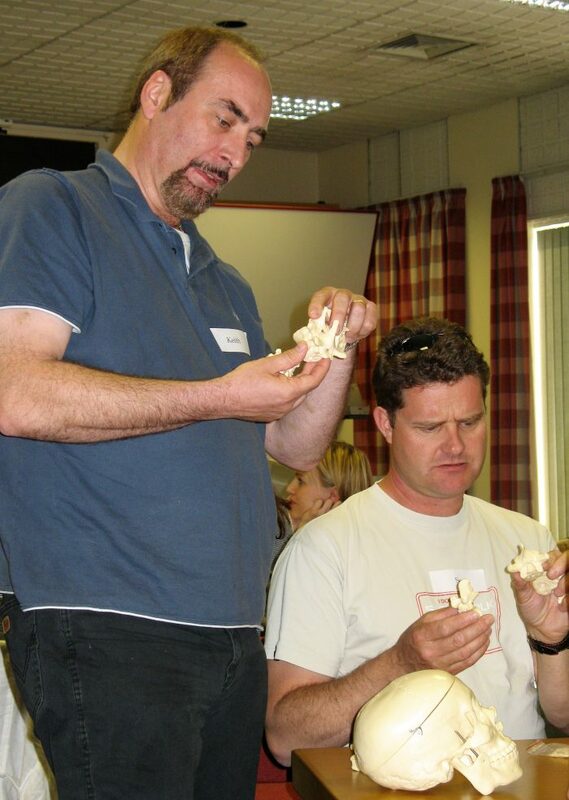 This one-day course focuses on reviewing muscles, movements and anatomical landmarks in an applied ‘hands on’ way with the sole aim to provide you with understanding and experience which you can use to enhance your massage practice. At the end of the day you will leave being able to identify muscles by touch (palpation), and understand their actions in a practical way. We will put away those text books and have some fun actively reviewing muscles in action. As we learn to locate muscles through palpation we will also be drawing the specific muscles on each other and exploring ways to learn/remember the muscles and their origins, insertions and locations. These are the main muscles worked on by body workers and meet the requirements of most exam boards. Join us for an enjoyable interactive workshop that will put your mind at ease and transform your understanding. This course is designed for practitioners, qualified in any form of Body Massage Therapy. It is useful for qualified and student sports massage therapists, massage therapists, physiotherapists and student osteopaths/chiropractors. The body is always striving to maintain an internal equilibrium called homeo-stasis, which is regulated by three regions in the brain and maintained by a number of positive and negative feedback mechanisms. Disease or illness may develop when homeostasis is disrupted. Any cellular change or damage can affect the whole body. 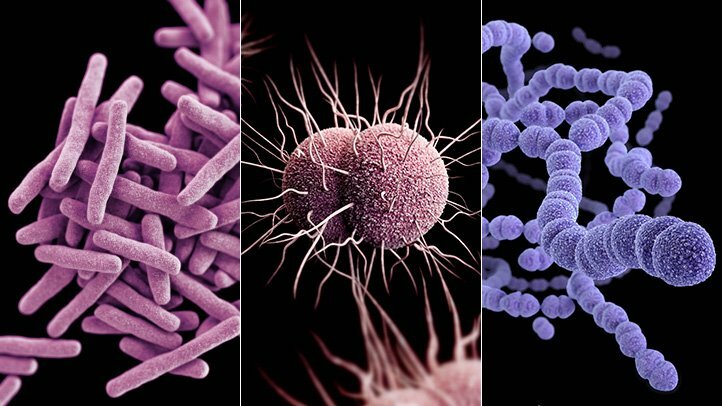 Injury, malnutri-tion or invasion by pathogens can all disrupt homeostasis. Cells check for such imbalances during the cell cycle and replication and usually adapt successfully in response to such stresses. However, sometimes the cell cycle fails to detect unwanted changes and the resulting mutation may cause disease. Science and medicine have made dramatic advances across the several centuries in understanding, preventing, and treating disease. Why is the study of disease so important? Although a complementary practitioner is not legally allowed to diagnose disease, it is important to be familiar with the anatomy of the healthy human body in order to understand the subsequent changes which predispose to disease. Hopefully, by having studied Anatomy & Physiology therapists are well prepared to build on those foundations and to invest the holistic model of healing with a deep understanding of disease. Having achieved this you should then be able to communicate effectively with the medical profession, if necessary, to provide your clients with complete health care. 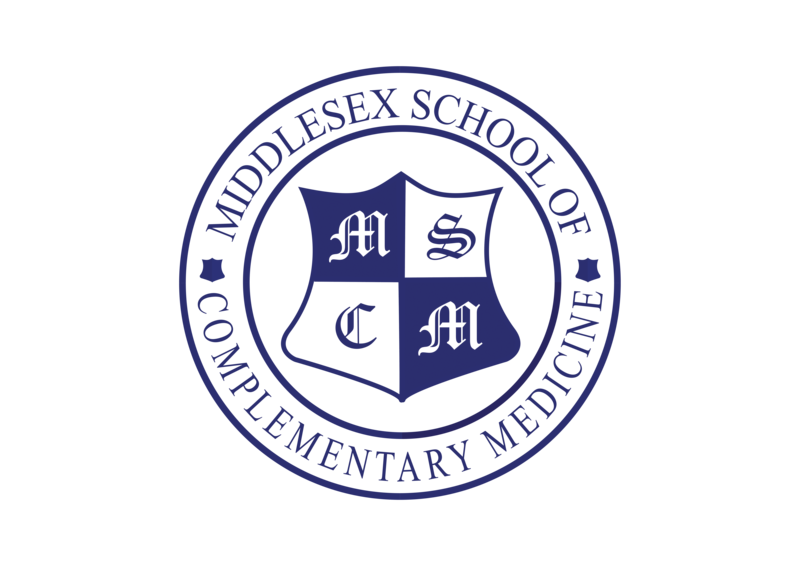 This workshop examines the common pathological changes that take place in the body and their relationship to disease states as seen from the perspective of western medicine. All therapists deal to some degree with the symptoms, causes and effects of disease and age-related conditions in the body. It is vitally important to have a basic understanding, not only of disease and its interpretation in medicine, but of the potential of a range of complementary therapies to assist in the healing process. Although designed with comeplementary therapists in mind this workshop is open to anyone with an interest in health.